To submit your success story, simply use the Reply field below. Please take a little time and tell your story in some detail. Simple one-liners or short blurbs are unlikely to get published. This diet is amazing. My Grandmother was put on this diet by her physician and she has lost 23lbs in 2 weeks. My mother has lost 15 lbs in 2 weeks. I have been on it for 3 days and I have lost 6lbs. Sure I had to broaden my food palet but losing the weight and becoming healthy is the key so you have to do what you have to do! I have been using this program off and on for years and it never fails to get me back on track when I let myself get lazy….it’s easy to follow and I love making my own protein bread! I too have been using this diet for over 20 years. It is two weeks of discipline and it brings me back to feel comfortable and/or drop back a size and get my eating habits and portions back on track. I lose an average of 10 pounds each time. Seriously that book freaking worked. I mean I was kind of skeptical and all but it’s been like 10 pounds this month and I cheated a lot on it. i have heart disease now. Something that has always bothered me: can one eat bananas on this diet. Dr. Tarnower doesn’t specifically exclude them? This diet is great! I lost 14 lbs the first week and a total of 73 lbs. over a 5 month period, my weight did fluctuate a bit due to working out mildy while dieting; (remember that fat wieghs as much as muscle but takes up a lot more space on your body). Reccomend this diet to anyone serious about getting healthy. I know the menus and eating tips by heart & will never stray back to the old days. 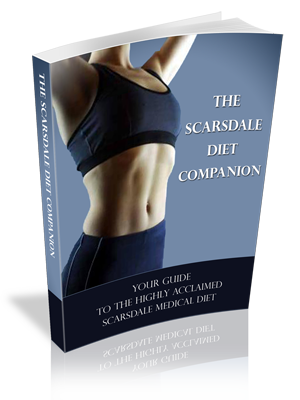 I am a huge fan of the scardale diet. I have tried it in the past and lost 50lbs over the course of 3 months. I stopped the diet and exercising and have put 10lbs back on but it wasn’t a result of the diet not working it was my not eating properly. And I am restarting the diet today because I know it works and it is easy to follow. I definitely recommend this diet to anyone who has struggled previously in the past with weight loss. And as far as the protein bread I use Arnold’s protein bread, don’t really have the time to make my own…. I have followed the Diet and Keep Trim programme for two months and have lost 40 pounds. The first week will be hard, but if you persevere through the sugar/carb withdrawal you will enjoy the true benefits of this super diet: energy, clear skin, your taste buds will come alive like never before (your grapefruit and bread every morning will taste out-of-this-world), no hunger, less period pain, no constipation, and of course the joy of watching your body shrink unstoppably. Thank God for Scarsdale. This diet does work! It gives me a sense of well being has well as weight loss which is the sole reason i started. I can focus on this one although on day 2 i was starving but i held onto my will power & determination & after day 7 i have lost 4 pounds. Give it a try it works. Works! Lost 23 pounds in two weeks. Going to start Monday 26th March, got all of the food in ready. Really looking forward to seeing the weight come off. I am 15 stone 8lbs and only 5′ 4″ so need it so bad. Will update this site to let everyone know how I am doing. i have been reading this website and i am looking forward to trying this programme out and enjoy seeing the results. I would like to know if this diet will lower my cholestrol and also I am pre-diabetic. Will this diet help me with these issues? In 1990, I went on this diet for approximately 3 months, and went from 156 lbs. to 116lbs. I am 5′-5″ tall and small-boned. I went from a size 12 to a size 4. I felt fantastic. Not only do you lose weight but you are eating healthy. Sugar is your worst enemy and is cancer causing. Since then, I go back on the diet every once in a while just for a couple of weeks if my weight increases by a few pounds. Love this diet!!!!!!!!! Only thing I don’t love is that I am not allowed my evening glass of wine when I go on it. having been on the Atkins diet my cholesterol went down. this program in my opinion has a fair bit of protein and is more balance because you have a variety of fruit and veggies. So give it a try. My friend stuck 100% for months on all veggie program eating lots of raw everyday and beans all the good stuff and went she went to the doctor cholesterol hadn’t budged. So give it a try. what is the keep trim plan? Seriously does this really work in the time it says ?? I used this diet when I was in my 30,s , & very successfully too. now in my 70,s I need to reduce to avoid type 2 diabetes, my husband is doing the diet with me & in 3 days we both have lost 3. kgs each, we both have very solid weight around the our middles. looking forward for the reaction from our grand children,. On it right now, needed a bid of good habits back. On day 10, lost 6.7 KG’s, and feel great. I alternated between SD and KT for almost 6 months in my mid twenties. I went from 240 to 160. I didn’t crave sweets, my skin was clear, and I slept so well. I found that I craved water and the fruit tasted like dessert. It was amazing! I’ve gained a few back since then so I’ve started again. I want to ring in 30 the right way!